How cool is it for gaming that a professional gamer gets to carry the Olympic torch? It’s only fitting that the gamer is from China. No, not because China’s hosting the 2008 Olympic games, but China has the largest population of gamers in the world. Last week, World of Warcraft China hit a huge milestone and had 1 million users signed on at the same time! Thats like the entire population of the state of Montana being logged into a World of Warcraft at the same time! The lucky runner was XiaoFeng “Sky” Li from China’s World Elite Team. 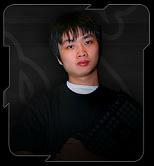 His aggressive play-style in Warcraft II with the usually defensive human class has earned him the title of best human player from the World Cyber Games. Good day for gaming. Via Ars Technica.